Today, we moved into the gleaming new offices of The National, the daily newspaper we are about to launch in Abu Dhabi. A lot has been achieved since Martin Newland, for whom I also worked when he edited The Daily Telegraph, arrived last July to assemble the team and the apparatus to give the capital of the United Arab Emirates a national voice, a newspaper that will report with authority on the nation, the region and the world. 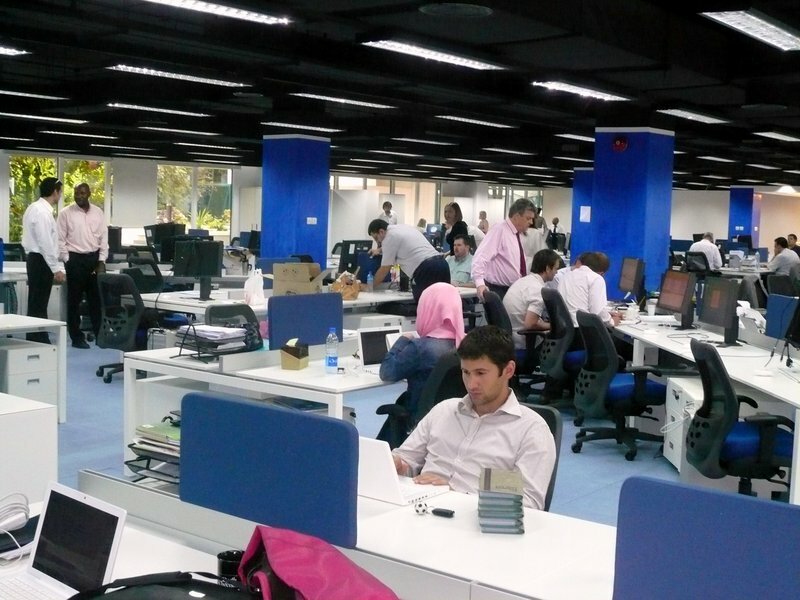 The newsroom's space needs tell their own story; a handful of us began work six months ago in a small office of what is now the Abu Dhabi Media Company, which also produces Arabic publications and has a broadcasting arm. As the people we recruited began to stream in, we moved to a building known as the auditorium but having the ambiance of a vast examination hall. And now we have moved again. The deputy editor, Hassan Fattah, a Californian of Iraqi parentage, reported from the Middle East for The New York Times and launched a newspaper in post-Saddam Iraq. James Langton, Alan Philps, Sue Ryan and Bob Cowan held senior posts at the Telegraph. Laura Koot, Brian Kerrigan, Rob McKenzie and Michael Jabri-Pickett were involved with Martin Newland at - or, in the case of Michael, soon after - the creation of the National Post in Canada. And my colleagues also include talented writers, editors, photographers and design staff from the Middle East, Indian sub-continent, America, Canada, Britain and Ireland. The list would take several Salut! postings to run in full. We will also have a website, and a link to it will appear here prominently once it is available to the public. It is a late stage of my career to be participating, for the first time, in the thrill of launching a national newspaper. If truth be told, it is also a late stage of the career of newspaper themselves for an event of this kind to be occurring. I cannot imagine many parts of the world where anyone would think of embarking on such a project. We have written, edited, illustrated and designed the dummy pages. We have stood back and taken satisfaction in the products of our dry runs, trying to forget the frustrations of publishing essentially for internal consumption. Very soon now, we will be presenting the results of our efforts for real.